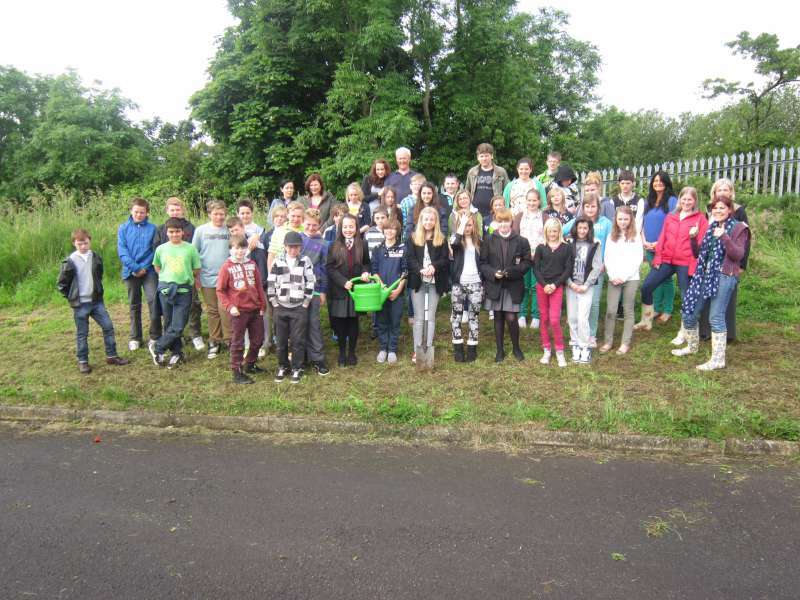 Eco schools The primary aim of the Eco-Schools scheme is to combine learning and action for the improvement of the environmental performance of Eco-Schools. 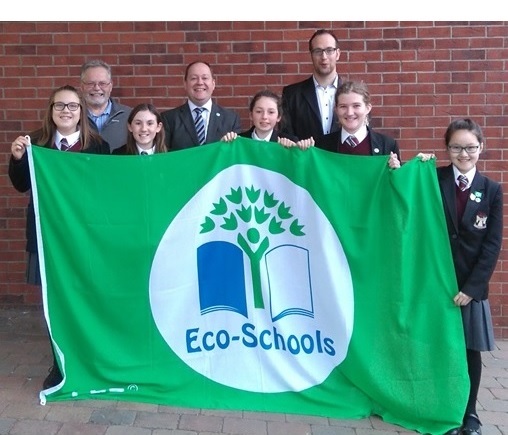 The Eco Schools programme aims to make environmental awareness and action an intrinsic part of the life and ethos of a school. This should include the students, teachers, non-teaching staff and parents, as well as the local authority, the media and local businesses. 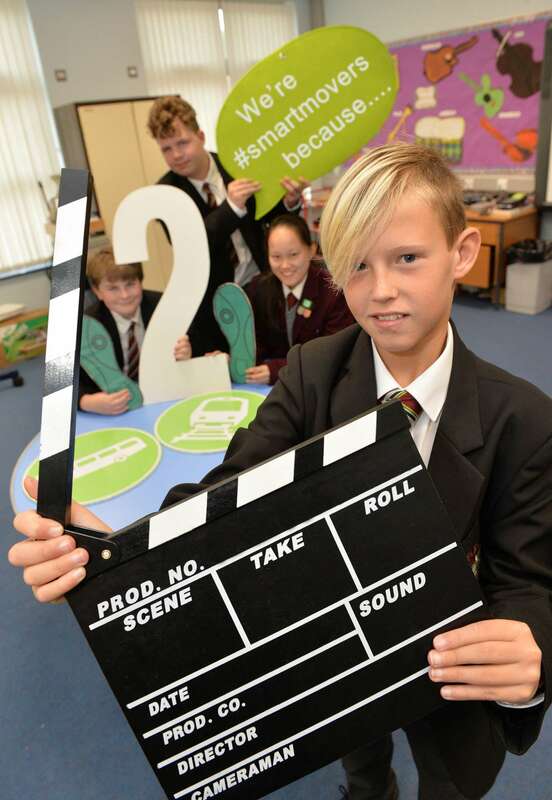 Eco-Schools endeavours to extend learning beyond the classroom and develop responsible attitudes and commitment, both at home and in the wider community. Its participatory approach and combination of learning and action make it an ideal way for schools to embark on a meaningful path to improving the environments of schools and their local communities, and of influencing the lives of young people, school staff, families, local authorities, NGOs, and all other bodies involved in this vitally important area of work. 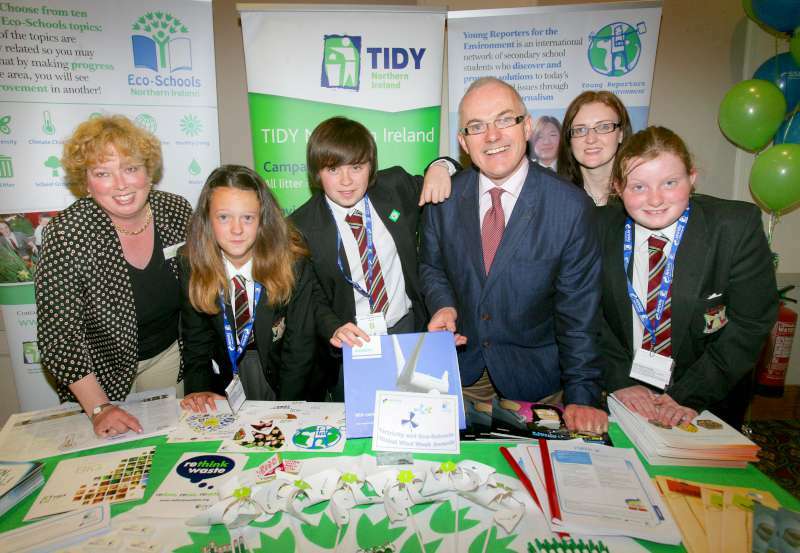 Here in Northern Ireland, the Eco-Schools Programme is operated by TIDY Northern Ireland, an environmental charity. The principal sponsor of Eco-Schools is Airtricity with further funding and support provided by the Department of the Environment and other organisations. The majority of local councils and our delivery partners also offer invaluable practical support for the programme. Our new Eco Code was devised during Greenday 2012 by our first year students. Our eco code was created around our school name as it is OUR eco code! 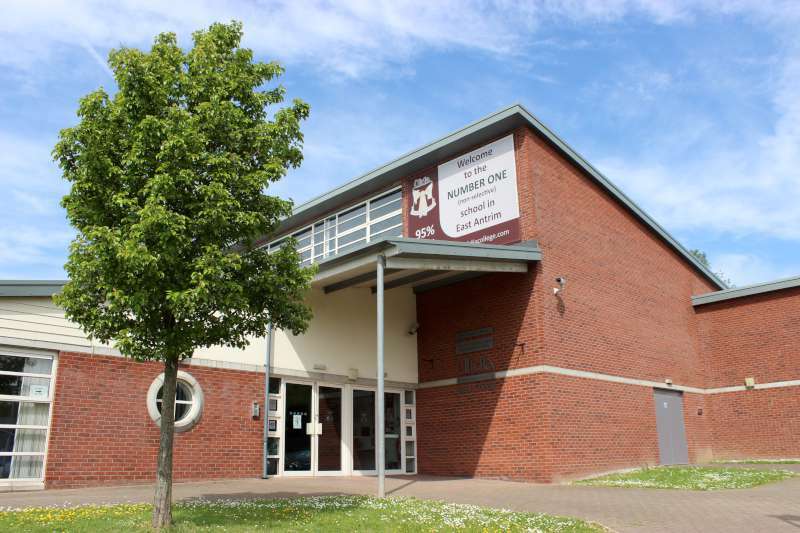 Ulidia Integrated College is an Eco School. 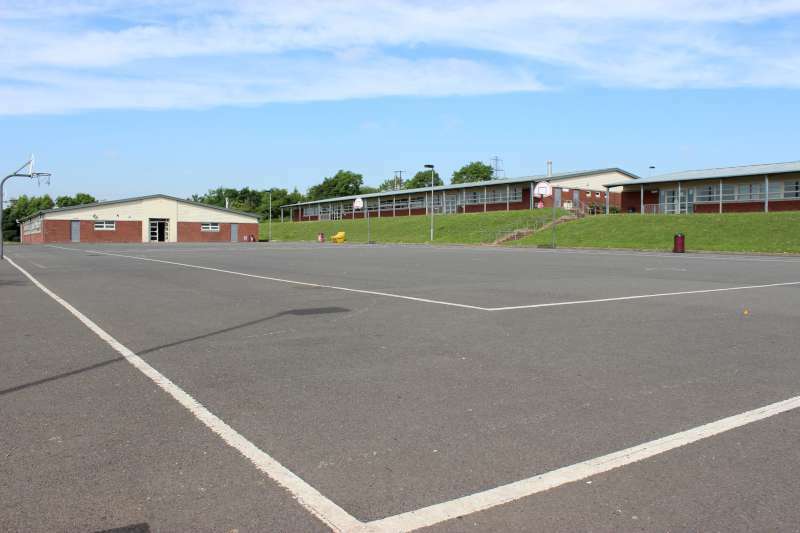 Litter free school grounds are our aim. In our lessons we learn about our environment and how to look after it. Decisions are made together at Eco Club. Integrated; we work together to improve our school environment. All our actions will be carried into our community by sharing our experiences and knowledge. In our form classes we have ‘signed up’ to our eco code by all signing our form copy and proudly displaying it on our form notice boards in our form room. Each year we review the eco code during an eco committee meeting. 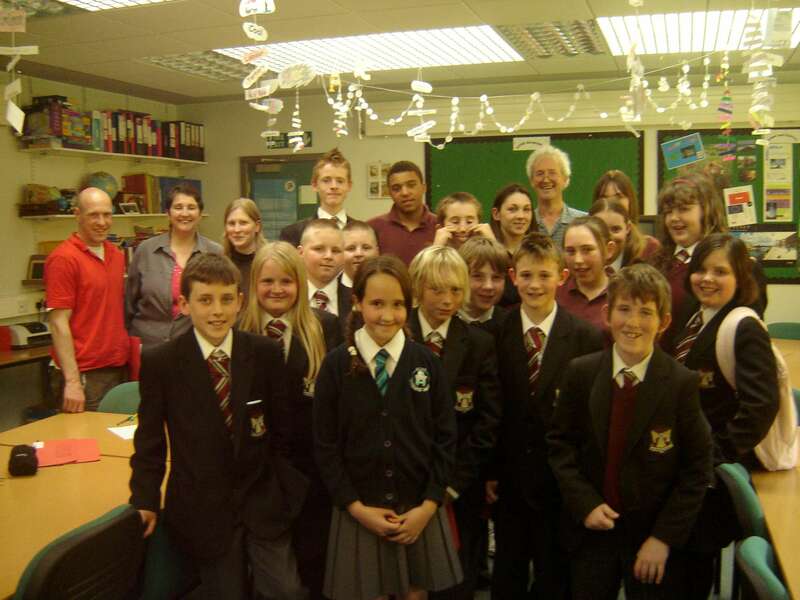 Our Eco-Committee was set up in 2007 by Mrs Buick. The committee meets at least once a term. In the committee we plan our activities, and make important decisions in a collaborative manner. The committee is chaired by the chair person who has been voted by the committee as their leader. Usually this post is held by a sixth form student who has earnt the respect of the committee members over many years committed membership of the team and committee. This post has been held for two years now by David McGuiness in year 14. The eco team meet each Thursday in GG2. All members of the school are welcome to come along and join in the fun! To keep up to date with our latest activities check out our school facebook page! Joint unit of work based upon energy taught in collaboration with the maths, science, home economics, PE and Geography. Wind energy graphs maintained by maths department. We cook healthy practical with the kids and encourage them to use healthier cooking methods, such as grilling rather than frying. From year 8 the pupils are taught the importance of nutrients and where these are found in foods. We also encourage the kids to eats 5 portions of fruit and vegetables a day. The dangers of an unhealthy lifestyle are constantly reminded. We also try to get pupils to enter cookery competitions using healthy ingredients for their dishes. 4. Save on water, food, electricity and fuel when possible, so a lot of discussion now takes places on suitable recipes for the credit crunch and nutritionally good food on a budget. 1. Recycling materials to make percussion instruments. 2. The fact that downloading music is more eco friendly than buying CD’s. 3. African culture and how they make a lot of their own instruments. 3. Types of pollution, how pesticides can enter the food chain and Eutrophication. 1. Energy impact and some techniques of recycling. 2. Alternative fuels for transport – Hydrogen cells and Bio diesel. 3. Use of Superconductors as a future energy efficient alternative. 5. The Greenhouse Effect – cause and impact. 1. The water cycle and how it is affected by human interference. 2. Industrial pollution in Japan. 4. Types of energy, and their effects, including wind energy debate. 5. Urban pollution and how it can be prevented. 8. Transmission and effects upon development of Aids. 9. Economic, social, and environmental impacts of tourism. 1. The Greenhouse Effect – cause and impact. 2. River pollution causes and effects. 4. Urban inequalities related to development. 1. Types of transportation, and their environmental impact. 2. Economic, social, and environmental impacts of tourism. 1. Impacts of current issues upon the tourism industry. 2. Tourism as global phenomena. We don’t sell any fizzy drinks we only sell what the department of Education allow. There are no sweets, chocolate, crisps etc on sale. There is no reformed chicken used in the kitchen it is all chicken breast meat. No food is fried it is either steamed or cooked in oven. I don’t salt any food and we don’t have salt sachets for the children, there is no tomato or brown sauce either. I would cook dice potatoes about once a fortnight in the oven and we haven’t had chips here for about four years now and the children don’t seem to miss them. There is always mashed potatoes, baby, boiled and baked pots on every day. Vegetables and beans are on daily also, baked potato, and beans are popular. Pasta is also on daily. Granary bread is used for the sandwiches and we sell about 200 baguettes a day. Butter is not used on the sandwiches. If the children purchase a fillet burger the garnish of lettuce and tomato is free and most of the children take it. We only sell about five different tray bakes and they are sold at lunch. Milk is on sale everyday as are yogurts and wheaten bread. Red meat is not on everyday and cooked ham is controlled also. We have no vending machines around the school so it is good that we can control what the children buy. Healthy Living is fully integrated into the LLW schemes of work. Healthy living is promoted throughout the school using the healthy living notice board outside the school counsellor office. The school employs a dedicated counsellor for the students. Regular healthy living events take place such as the annual mental health awareness day, and the love for life days; during these events students have the opportunity to meet outside speakers and specialist experts in their field. Our annual Greenday event takes place in June. During the day all students in the school are off timetable to participate in the event. The aim of the day is to provide a ‘Whole school day of activities to promote care for our environment on a local, national and global scale’. During the day year groups are mixed up and students participate in activities such as – gardening, Sustainability in the commercial world (IKEA), litter picking, making bird feeders, bug hunt, fair trade marketing, planting, weeding, bag campaign, and a whole school assembly. At the end of the day students receive a gift to keep. See photo Albums on school web page. 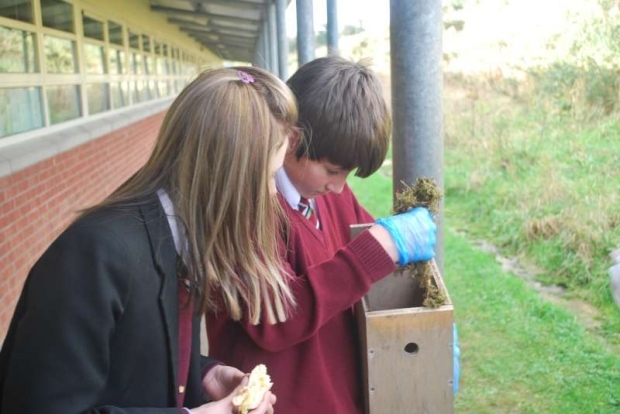 At Ulidia Integrated College we are increasing our biodiversity by introducing more flora onto the school grounds and by encouraging fauna onto the school grounds. Flora has been increased by planting plants and trees including fruit trees, and by planting wild plants in our disused land at the back of the school. Fauna in encouraged through the bird box programme. Boxes are built in Technology, and placed around the school. Some of these boxes have a motion activated night camera in them and will upload live feed onto the school web site when active. Our school grounds have been well resourced to provide an environment for our students to enjoy that is peaceful and comfortable. 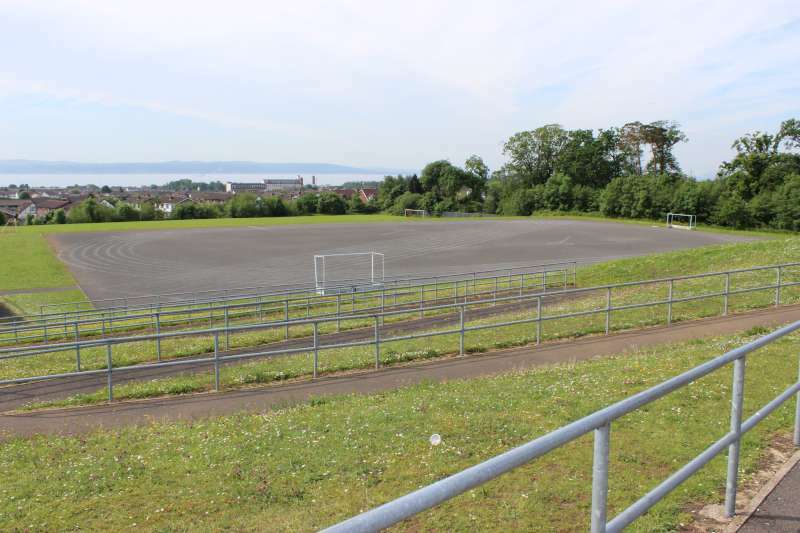 Benches have been placed for students to enjoy our beautiful location overlooking Belfast Lough, and our grass areas are well maintained to ensure safety and enjoyment. The playing fields are regularly used for lessons (not just PE!) so that students can learn from our natural environment such as microclimate studies of our school grounds. 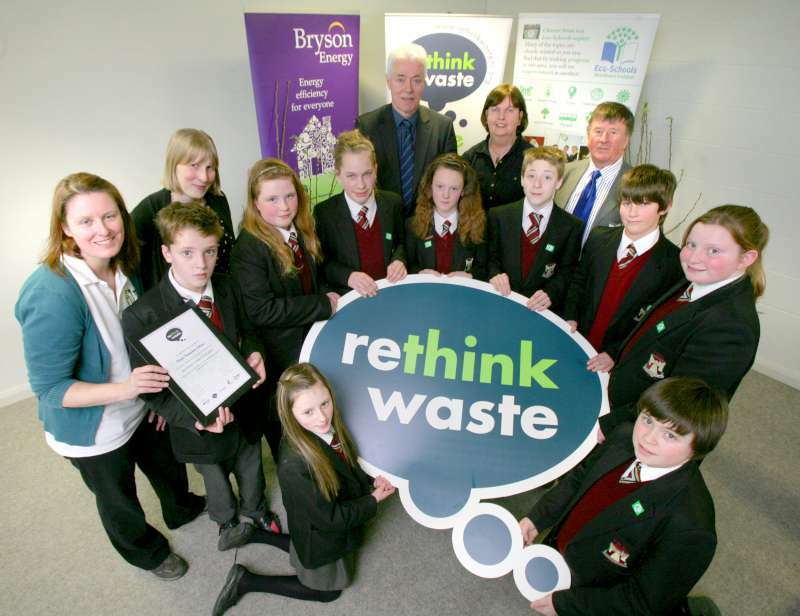 In March 2013 Ulidia Integrated College became the first school in Northern Ireland to achieve ‘Zero Waste’ status. 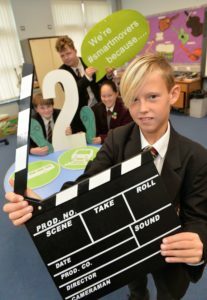 This was achieved as Ulidia sends no waste to landfill. 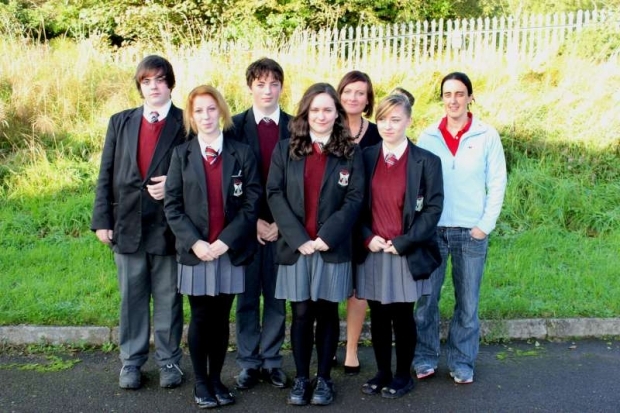 At Dec 2012 47% of waste generated at Ulidia Integrated College was being put into landfill. 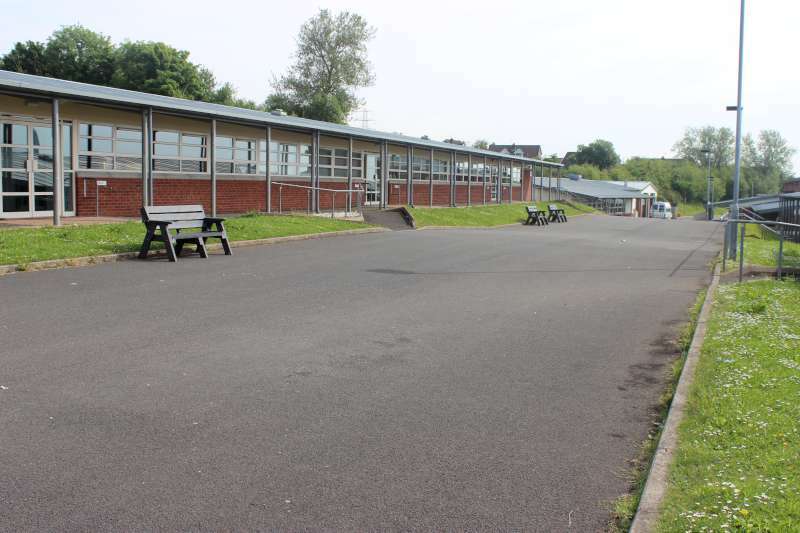 The action plan has allowed the school to develop sorting of litter at the point of disposal with segregated bins, this has been a success but some minor contamination still occurs. This contamination is resolved by ISL secondary sorting at the factory. 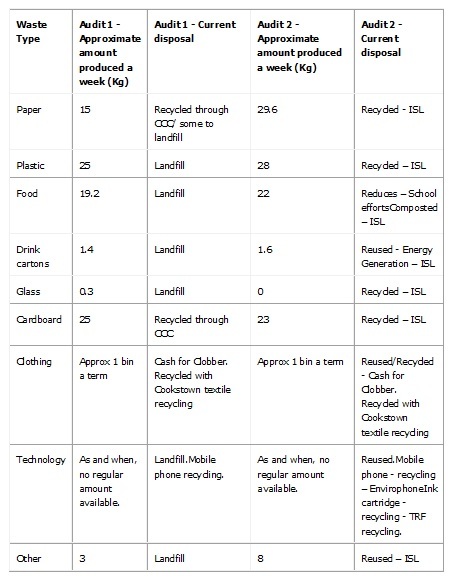 Working in collaboration with ISL the school has now at the end of the pilot period returned 0% to landfill. At March 2013, 0% of waste is being put to landfill. Working with ISL has been a positive experience, the school has been provided with new bins, support and excellent customer service. We do not see this as a short term project but as a long term change to our waste disposal. Future plans are to reduce contamination, this was achieved by further investment in new segregated bins, and promotional activities in the summer term. 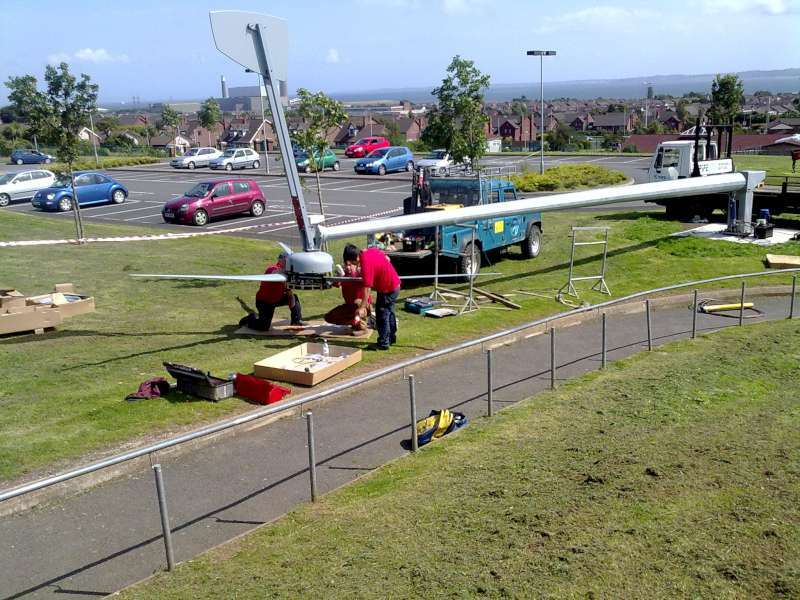 The Governors of Ulidia Integrated college have demonstrated their commitment to the Eco Schools programme by partially funding the building of our own wind turbine. The turbine was installed in summer 2007. 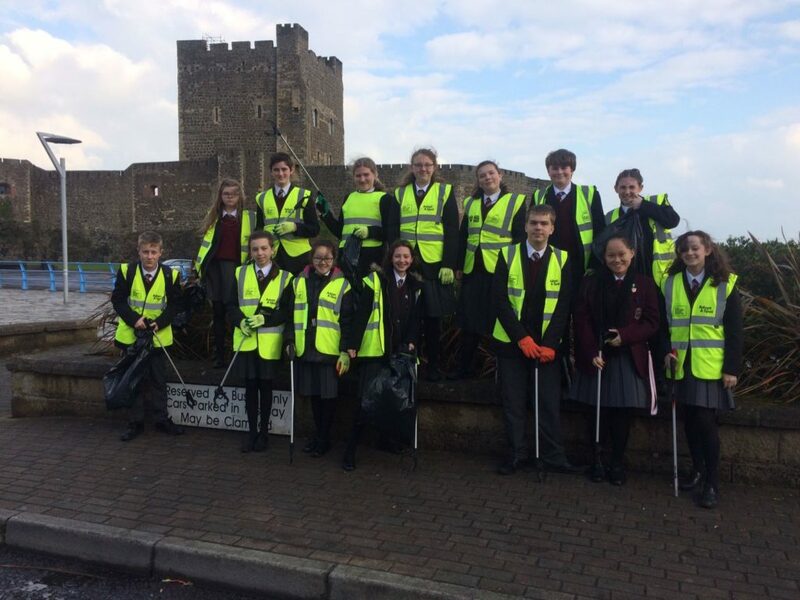 At Ulidia we hold regular litter picks, including as part of our greenday event, and as part of the ‘Big spring Clean’. The school governors have invested in tribal design bins which were designed by the students in art, these bins have been placed around the school and remain a talking point! Throughout our school we also have bins for recycling plastic bottles to reduce litter. Every classroom in Ulidia Integrated College has a multilingual paper bin, to promote modern foreign languages and also recycling. 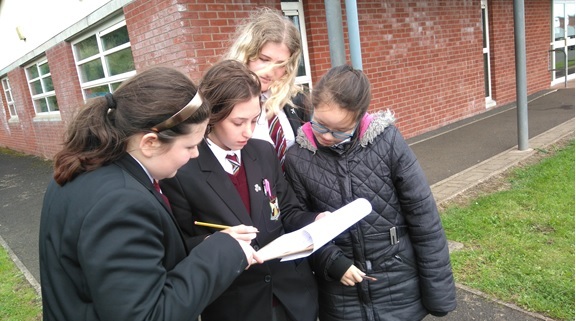 We carry out a litter survey at least once a year using a quadrat to accurately monitor litter in our school. 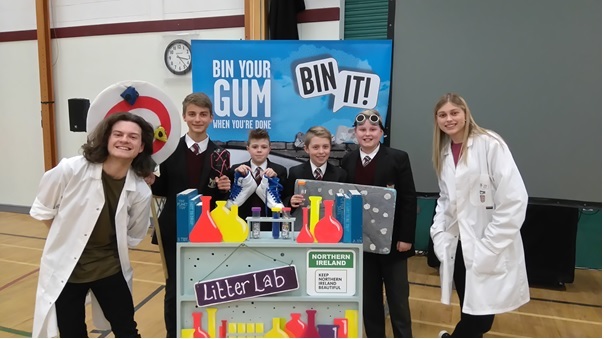 Ulidia Integrated College has participated in the Wrigley ‘litter less’ campaign since 2011, gaining finding to run litter campaigns from Wrigleys. This has led to the successful focus on gum litter around our school. Gum litter has reduced, though sadly, not disappeared! Michelle Tsang designed our poster campaign to reduce gum waste, her poster is on display throughout the school. Healthy living is promoted throughout the school using the healthy living notice board outside the school counsellor office. The school employs a dedicated counsellor for the students. Regular healthy living events take place such as the annual mental health awareness day, health hub, and the love for life days; during these events students have the opportunity to meet outside speakers and specialist experts in their field. In Ulidia students are given the opportunity to participate in elections to elect their class representative for the student council. This is through an official election campaign period and voting event which enables students to experience democracy in action. Within the global environment our students are encouraged to make positive decisions through an extensive range of experiences such as fair trade education and marketing, and our Kenya project. Students fund raised for many years to provide funds for the Kenya project. During the project students travelled to Kenya to assist with the building of school buildings and drainage for the buildings. The students experienced what life was like for others the same age as themselves who lived in Kenya. We communicate what we do at our events by using the school facebook page, and twitter feed. Local press are also utilised to promote our actions. The school Website is updated daily to increase awareness of school events. Students are regularly kept updated through school Assemblies. And of course word of mouth!